The design is characterized by a side panel, which provides this with an additional element of contemporary style, and makes it more suitable for a number of different settings, whether professional, athletic or leisurely. What's unique about this fabric is that it is characterized by a ventilated yarn fabric that is processed and treated for longevity, durability and flexibility. We custom print your graphic and deliver shirts right around Australia. The displayed price includes a 1colour screen print either on the front or on the back of the shirt. A print set up price of $75 applies. We recommend screen printing in black to obtain a sharp clear print for your logo or graphic. Alternatively we can personalize this shirt with custom full colour prints. 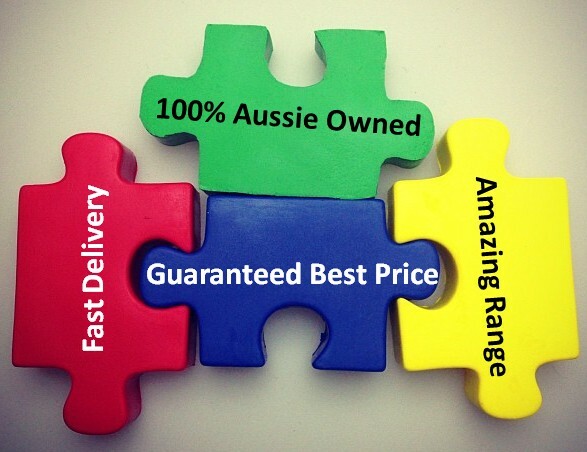 A full colour print process does cost a little extra. Please contact us to obtain a quote for this option. 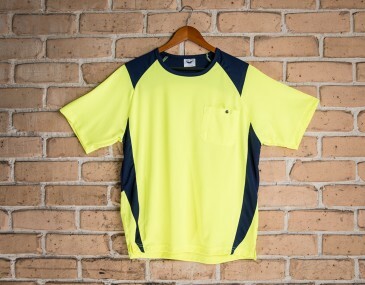 We deliver shirts in bulk direct to your work place or construction site all around Australia. The minimum orders for this garment is listed in the price list above. 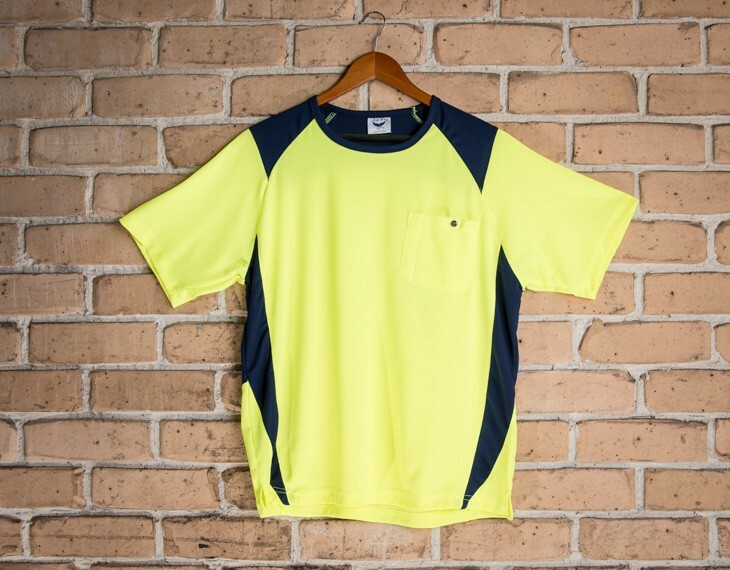 Hi Vis Safety Garment Standard AS/NZS 4602.1:2011 and AS/NZS 1906.4:2010. These standards are printed clearly on a label which is on each and every shirt. The UPF rating for this product is above 50, which is excellent to say the least. It confers the highest protection rating.